In this Grilled Beef Tenderloin with Salt Crust, the meat is salted over its entire surface prior to grilling to insurea nice crisp crust and a tender and juicy center. The holidays are always a hectic time, whether you celebrate Christmas, Hanukkah or whatever. 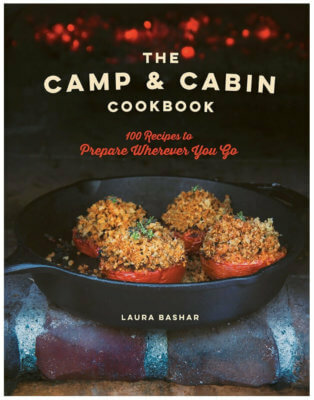 Even if you are just planning a special dinner to celebrate a very special occasion, you don’t want to get blindsided by the main dish falling short of expectations. Today I am going to share with you one of my favorite ways to prepare one showpiece of a meal, a beef tenderloin. Typically when you buy a beef tenderloin, you usually find in this long 3-foot piece of meat. You can not, and should not, cook it in this state. You first have to remove that thick silver skin that runs down the tenderloin. This does not break down when you grill or roast, and should be removed. Don’t worry. It’s relatively simple to do. Just slide a sharp knife underneath the silver skin. With one hand pull the silver skin up and away from the meat while your other hand is sliding the sharp knife down. Once that task is done, it is best to cut your large tenderloin into 2-3 equal sizes. This is to insure even cooking and so you don’t have over cooked ends and a raw center. Then transfer your meat onto a baking sheet, preferable sitting on top of a rack. This helps dry out the meat, which bring us to the next step. You are going to cover the entire surface of your beef tenderloin with some kosher salt. 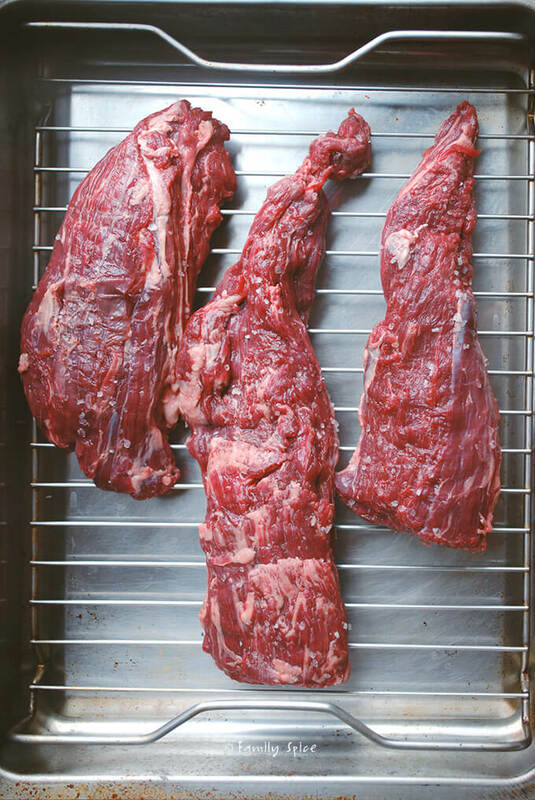 While the meat is sitting in the refrigerator UNCOVERED, the air will circulated around your salted tenderloin, creating a dry and tough surface. Don’t worry. This will crisp up beautifully when you grill or roast it, giving you a crispy exterior and a moist interior. Serve it alone, with your favorite condiments or even a bit of chimichurri. Less fuss is best in my book because this is one delicious and super tender cut of meat. In this Grilled Beef Tenderloin with Salt Crust, the meat is salted over its entire surface prior to grilling to insure a nice crisp crust and a tender and juicy center. Place on a rack set over large rimmed baking sheet and refrigerate uncovered 24 hours and up to 36 hours. You could do this the same day you cook your roast, but the longer it sits this way, the crispier the crust will be. Let beef rest, covered with foil or plastic wrap, at room temperature 2-3 hours prior to grilling. Preheat your grill. Set burners to medium heat. Grill the tenderloin, searing and browning it on all sides for 15 minutes. Reduce heat to medium and cook until it is medium rare, about 15 more minutes. 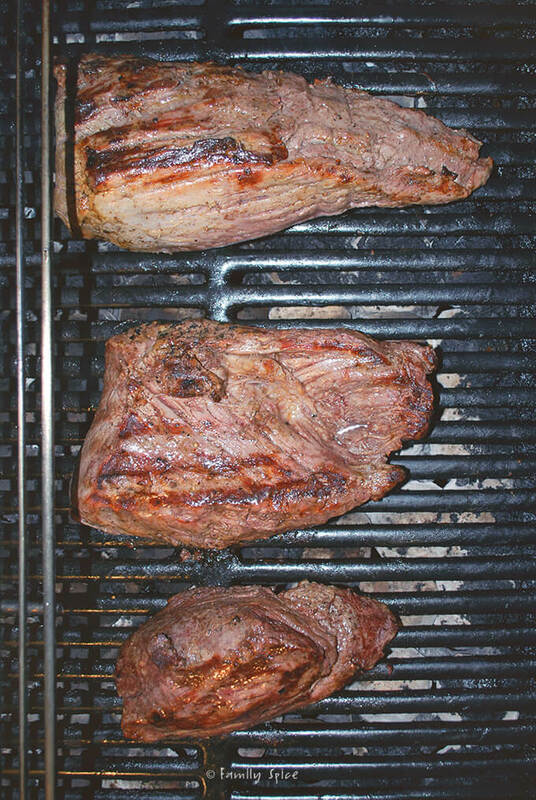 Using a meat thermometer internal temperature should read for medium-rare, 135º-140º F and 140º-145º F for medium. 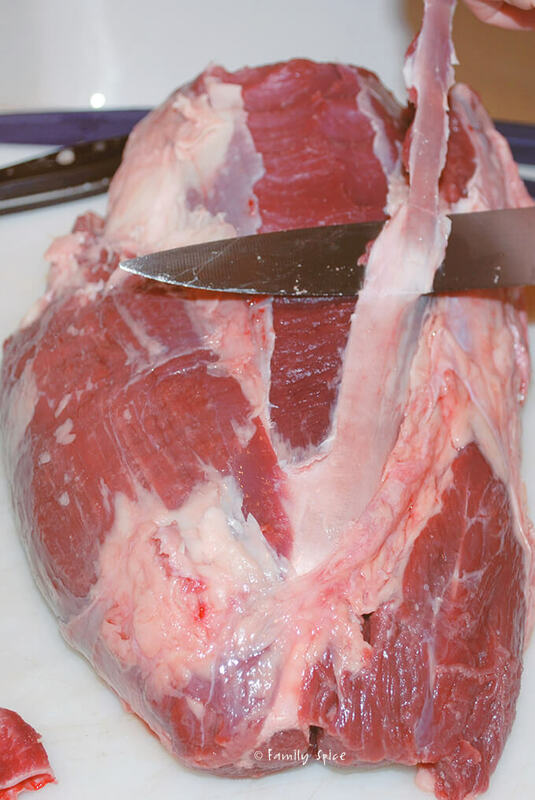 Remove the meat to a cutting board, cover it with aluminum foil, and allow it to rest for 10 minutes before slicing. Tenderloin can also be cooked in the oven: Preheat oven to 450º F. Place the meat on a roasting rack or in a roasting pan and place in oven. If you are cooking in a pan with no rack, add a splash of water to the pan. 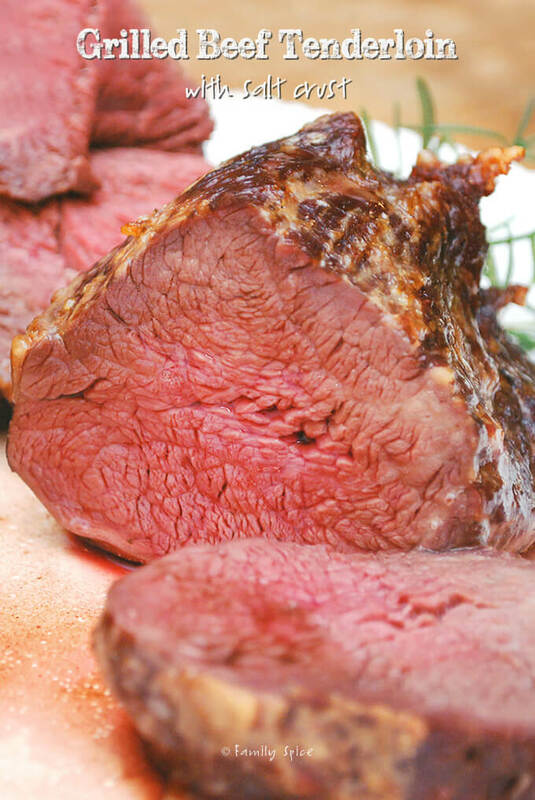 Roast the meat 10 minutes on high then reduce heat to 350º F and cook 30 minutes more. Do not open oven during those first 10 minutes. Test for doneness using a meat thermometer. Internal temperature should read for medium-rare, 135º-140º F and 140º-145º F for medium. Remove meat from oven and let rest 10 minutes before serving. Previous Post: « Christmas Cookie Conundrum!